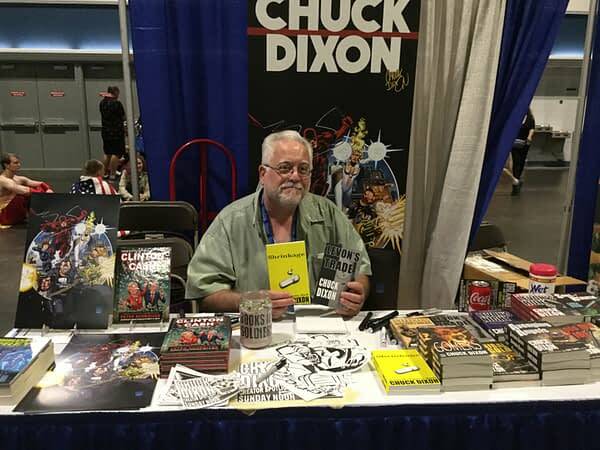 Chuck Dixon! I think that’s all I need to say. What more can be said about one of my favorite writers in the business who has written comics for thirty years and continues to be a force to reckon with and he’s not only still writing comics but also novel after novel and all of them fantastic and he’s got a graphic novel coming out next year from one of the big two. Oh, wait, did I just say that? Why yes I did. So, check out the MegaCon Tampa Bay interview below and see if anything else is revealed. Hope you all enjoy. Marco: Tell us what made you fall in love with comic books and how did you get your start in the business? Chuck: Ok. Well basically, when I was a kid comics were everywhere and like a lot of comic book writer’s origins, I was sick a lot as a kid and so family members and friends would bring comic books and all kinds of comic books. From funny animals to superhero to war so I just fell in love with the medium, long beforeI could read I basically learned the language of comics by looking at them and then of course learned to read by reading them. Given that all I ever wanted to do was work in comics, I just sort of drove myself towards that, there was no plan b in my life. I lived in Philadelphia at the time so I was an hour and a half train ride away to New York where all the comic book companies were at the time and I just went for interview after interview and it was ten or twelve years before I got a serious break from Larry Hama at Marvel who let me work on the Savage Sword of Conan magazine and then once I proved my reliability, that I could do a script, I could do a story that people would actually want to read I pretty much never looked back, thirty years now of writing comics. Marco: Given everything that you’ve done in comic books, is there still a character or title that you would like to tackle that you haven’t in your career? Chuck: I never did like a run on Fantastic Four, it was always my favorite when I was a kid and that’s the only characters that I’ve never touched that I’d like to do something with. I got to write the Lone Ranger a few years ago and that was a dream so yeah, Fantastic Four would be the one. Marco: Being a fan and creator yourself in comics, is there anybody right now in the industry whose work you admire? Chuck: Well that’s always a tough one for me because I’m not doing that much work in mainstream comics anymore so I’m not paying attention to it, probably as much as I should as a professional comic book writer. Also, we’re living in the golden age of reprints so you can go back and read all the stuff you wanted to read that was never available and at affordable prices so I can’t think of anybody right now. I like Erik Burnham’s writing, Ghostbuster and Back to the Future and things like that. He’s an up and comer, he’s got his own voice, he’s got his very own sense of humor but of the new crop of guys I don’t know the names. Marco: About a month ago, the comic book industry announced that in 2015 it had reached over one billion in sales. Given that number and your time in the industry, do you think the industry is getting better as a whole or do you think those numbers are more reflective of things like variant covers and other such gimmicks? Chuck: I mean, I think it’s a healthy sign because for too many years the comics had become a boutique industry, especially superhero comics who have moved into the sub culture rather than in the culture. Comics have always been at the low brow, low expectations but they were everywhere. When I was a kid, individual titles were still selling millions a month and they were literally everywhere. They were cheap, easy entertainment and reached a wide audience and it worries me that we’ve skipped a generation of readers by strictly going to direct sales and things like that. But that’s encouraging, I’d just like to see more of a wedding of a comic book sales market with the casual reader market. If you look at the New York Times best-selling graphic novel list, there’s hardly ever a superhero title on there and there’s nothing wrong with that, but there seems to be two separate audiences and I’d like to see a greater presentation of the entire medium to the casual reader, to grow the readership even more, make them more a part of the culture like they used to be. Marco: If you had the power to change one thing in the industry, what would it be? Chuck: I’d make the comics cheaper and it could be done with the right distribution. Either cheaper or I don’t know why there isn’t a Shonen Jump type collection for American comics because at ten or twelve bucks for a big fat telephone book of comics, I can’t see how that would fail. Marco: I know in Japan for Shonen Jump they print it on recycled paper, they don’t care if it’s yellow or orange paper, they just print it and throw it out there. Chuck: Yeah, and I think that would be a way to reach a larger audience, you might reach more kids and that’s the most important thing. In the early nineties when we were doing gangbusters, we were reaching kids and kids were reading them. I know adult fans want their sophisticated stories and all this grown-up stuff, if you don’t have new readers coming in the hobby’s going to dry up. Marco: It’s funny that you bring up kids because I also do another series called Nerd Fight where we debate topics from different points of view and one of the things we’re going to discuss is should books at Marvel and DC be all ages? So, every single book, whether you’re a kid or an adult, you can read it no matter what without having any issues whereas now you have your all ages teen and mature books from DC and Marvel. Chuck: The problem with that, and I’m all for plateau publishing where you have little kid books and teen books but not with the same characters. I mean, back in the seventies when you were a kid you could start with Archie or Richie Rich and then you move up to superheroes, then you buy Conan, then you move on to Heavy Metal or whatever. But now, when you have all these permutations, all these different characters, it dilutes and confuses everybody. Obviously, there’s a place for all ages comics and I think the problem might be they are too difficult to produce, because all ages comics doesn’t mean stupid and pandering comics. There is nothing unsophisticated about Carl Barks and Donald Duck stories, there is nothing there an adult would be ashamed to read so yeah, I’m all for the mass audience, reach as many people as possible. I think we should all look to Bollywood movies as an example. There’s something in a Bollywood movie if you wait long enough I mean, if you like dancing, there is dancing, if you want to see guy’s sword fighting, just wait a minute, there’s something for everybody so there’s more than one choice, more than one flavor. 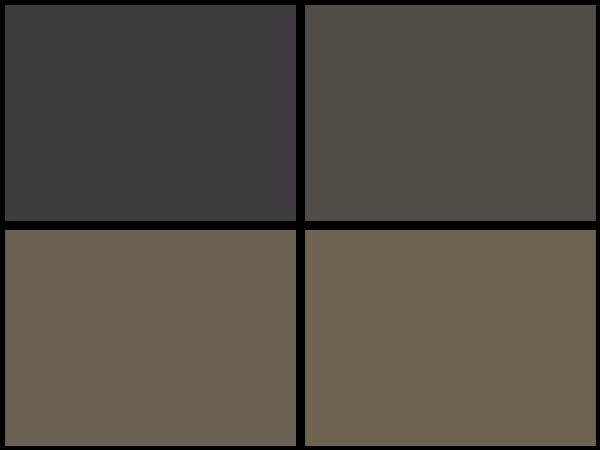 Right now, there is too much dark, dark, dark in comics and I don’t want to read about people who are miserable. Marco: So, what are you working on right now in novels and comics, and what might you be working on down the line in novels and comics as well? Chuck: Well I’ve just completed a graphic novel for the United States Navy called The Bridge of Dong Ha, it’s a true story of a marine in 1972 Vietnam, it’s an incredible story. Currently I’m working on a project for one of the big two that I can’t talk about yet because they haven’t announced it. Next year from IDW I’ll have a creator owned project coming out called On Prepped, it’s a survivalist comedy and I do my novels, I have two series Bad Times, about US Army Rangers traveling back in time and getting into trouble and then to scratch my Frank Castle itch I have a series called Levon’s Trade, it’s basically vigilante justice, a veteran of Afghanistan and Iraq who can’t keep out of trouble, can’t walk away from any trouble that he sees and they’re all doing very well and it’s what I write in between comics. Well, that’s all she wrote. I hope you all enjoyed this interview. Let us know how you feel below. And don’t forget to check out Chuck’s upcoming work and the great novels he puts out!